Two new Nexus phones aren’t the only items expected at Google’s press event on September 29. 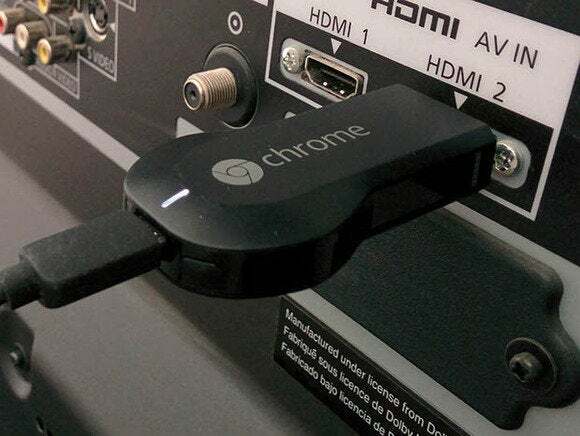 Google’s also gearing up to introduce a second-generation Chromecast, according to 9to5Google. The new streaming device is expected to come in a round shape loaded with improved Wi-Fi, a new feature called Fast Play, support for audio systems, and feed integration with the device’s main screen. That’s about where the details end, however, as specifics are in short supply. The current Chromecast uses 802.11 a/b/g/n Wi-Fi, so it sounds like the next version will support the newer 802.11 ac Wi-Fi, but that’s just speculation at this point. The Fast Play feature apparently means the next Chromecast will connect faster than the original version when you “cast” something from your mobile device. As for the feeds, there’s no word on what this is. 9to5Google figures it means you’ll be able to integrate social media feeds when the Chromecast flips to its idle backdrop mode. Backdrop already includes feeds from your Google+ albums. Chromecast is also adding a feature that will let it act as, well, a Chromecast device for audio services and hardware, according to 9to5Google. 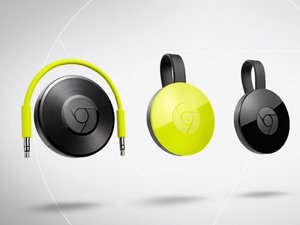 Called Chromecast Audio, the basic idea is that you hook up the Chromecast to a speaker or audio system via an auxiliary cable. 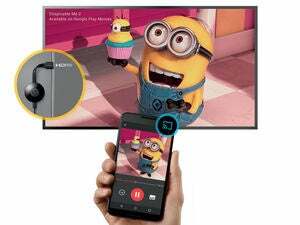 Then you can stream the audio from your device to the Chromecast. In a separate report, 9to5Google says Spotify will be one of the first services to support Chromecast Audio. The impact on you at home: Chromecast Audio sounds like a way for Google to expand Chromecast’s reach and serve users who haven’t got a Cast for Audio-compatible sound system. Cast for Audio is a hardware feature built-in to particular speakers and audio systems in order to wirelessly send audio from your phone to the speaker using the Chromecast protocols. It’s a neat feature, but sound systems are expensive to upgrade and most people won’t unless the hardware dies. Chromecast Audio will help reach those users.